Finding the right wallet for Aeon cryptocurrency can be challenging. And that’s preciesly because Aeon cryptocurrency is based on a CryptoNight algorithm and it is a complicated thing to implement in wallets, especially mobile or light-weight wallet. Aeon’s Sophia (0.12.6.0) released is out, and it supports Aeon cryptocurrency on a windows client. 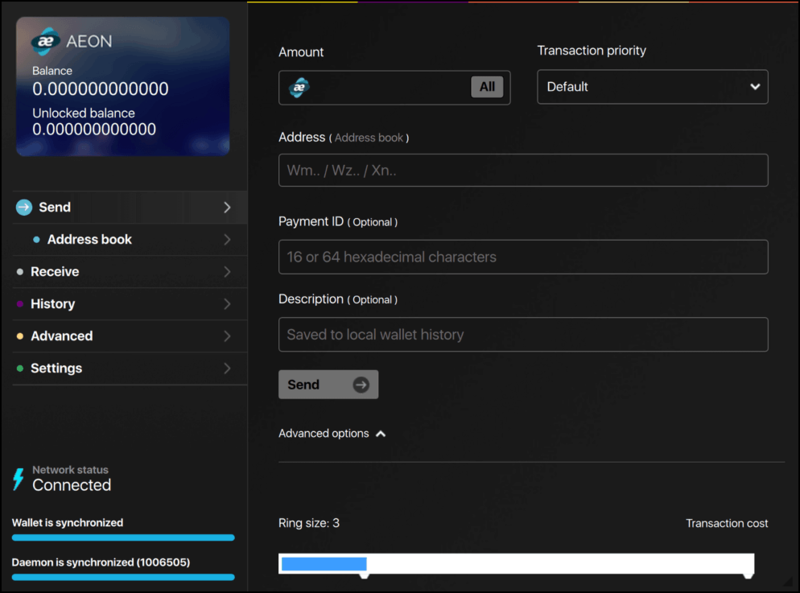 It is also the official Aeon wallet for Windows, and its UI is quite decent to be used. Using this Aeon wallet, you will be required to download the whole Aeon blockchain and then synchronize it. The synchronisation can take some time, and when it is set-up it will be a full node with an inbuilt wallet in it. Also, Aeon wallet Windows is a non-custodial wallet where you control your Aeon wallet seed/private keys always. GUI wallet for Mac user is also available, and you need not worry, as it is also their official Aeon wallet released with the Sophia (0.12.6.0) update. The UI of this Mac GUI wallet is also almost the same and using this wallet you will also be able to run an Aeon full node. And like the Windows GUI wallet, here also you need to download the whole Aeon blockchain because it is a heavy wallet that requires blockchain synchronization (this can take up to hours). Also, Aeon wallet Mac is a non-custodial wallet where you control your Aeon wallet seed/private keys always. When you have the Windows and Mac GUIs, why leave the Linux wallet behind? In the Sophia (0.12.6.0) update, Linux wallet is also available in the package. This is also a full node client that requires you to download the whole blockchain. 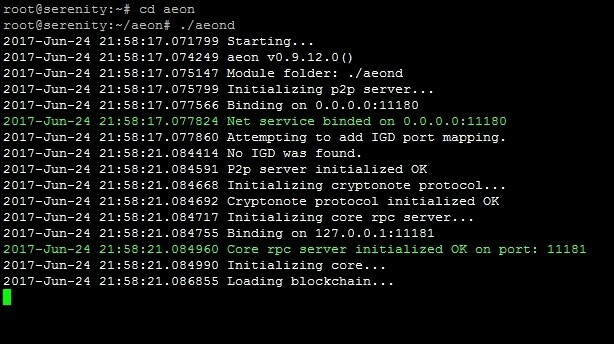 The blockchain will take some time in synchronization after it is downloaded and that’s all you need to do to get started with Aeon Linux wallet. 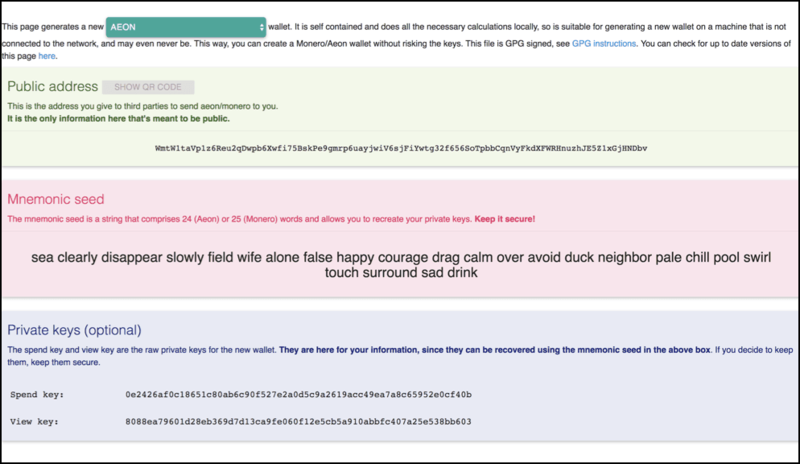 Also, Aeon wallet Linux is a non-custodial wallet where you control your Aeon wallet seed/private keys always. Paper wallets are not for everyone and if you haven’t used one before then don’t use this time also because paper wallets are a bit difficult to use. And as paper wallets are just a pair of private and public key printed on a piece of paper it requires a lot more caution from the bearer. But for now, there is no other alternative than this paper wallet to store your Aeon cryptocurrency in cold storage. 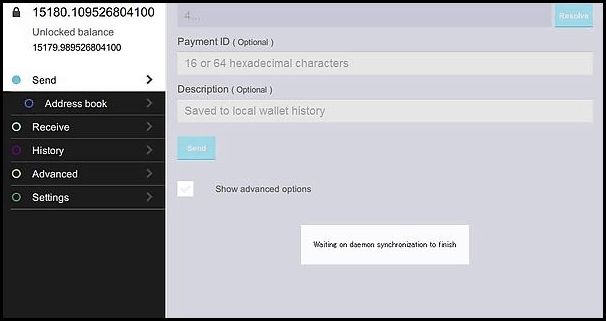 Aeon wallet only has GUI wallets as of now and setting up a GUI wallet can be challenging. That’s why here is a guide to help you download and set-up a wallet with Aeon-GUI. Note: This guide is for Mac but almost the same way you can set-up Windows and Linux GUI. So go ahead an enjoy the Aeon wallet to safeguard your Aeon cryptocurrencies. Ironically, for mobile-friendly crypto like Aeon, there is no reliable iOS or Windows Aeon wallet as of now, but I am very sure that it will be out soon. And lastly, when CryptoNight currencies like Monero have found hardware wallets like Ledger Nano S, so it means hardware wallet for other CryptoNight currencies is also not very far. So that’s all from my side in this article, and I hope this will help you choose the right Aeon wallet.